UNITED NATIONS, Apr 19 2018 (IPS) – A new wave is sweeping across Africa. Elections on the continent are increasingly yielding younger leadership than ever before. 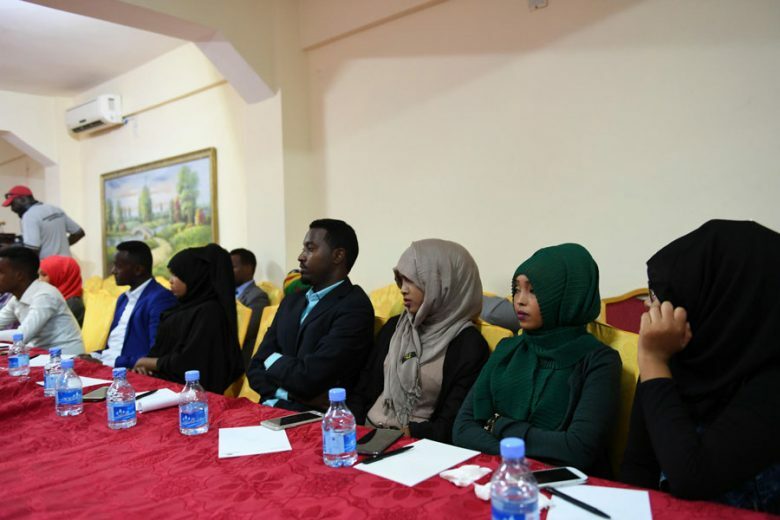 From presidents to ministers and governors, senators to members of parliament, Africa’s young people are demanding a seat at the political table. In Uganda, Proscovia Oromait was only 19 in 2012 when she became the world’s youngest MP, representing Usuk County in the Katakwi District. “What I said when I was younger was that in years to come, I will become the president. It’s just been my dream to become a leader of Uganda. And here I am, the youngest MP. And I’m so proud of what I am,” Ms. Oromait told the UK’s Independent newspaper in an interview. In South Africa, Lindiwe Mazibuko, 37, was elected leader of the opposition in parliament in 2011, representing the Democratic Alliance. She became the first black woman to hold that position. “There is no prosperity for our continent without a vibrant, diverse and truly competitive politics, founded upon excellence, transparency and commitment to the public good,” Ms. Mazibuko said in a TEDxEuston talk in January 2016. Forty-year-old Nelson Chamisa, the new leader of the opposition Movement for Democratic Change, is angling to be Zimbabwe’s new leader. Were Mr. Chamisa to win, he would be one of Africa’s youngest democratically elected presidents. Mr. Mugabe, 94, was Africa’s oldest leader until he resigned as president in November last year, having ruled for 37 years. Some Africans argue that “with age and longevity in office come wisdom, foresight and experience,” Mr. Kiwuwa writes. He further posits that, given opportunities in politics and other sectors, Africa’s youth can transform the continent. He regrets that the long tenures of older politicians continue to stifle the emergence of credible youthful successors. Innocent Batsani Ncube, a 39-year-old Zimbabwean political scholar, echoes Mr. Kiwuwa’s sentiments, stressing that youth rarely get the attention of Africa’s political leaders, who do not believe young people can lead. “The single most important factor for continental growth is the energy and passion of young Africans who have a palpable sense of positive energy and optimism,” adds Mr. Dlamini, who is the chair of Times Media Group of South Africa and head of Massmart, a retailer affiliated with Walmart in the US. “They [youth] are young entrepreneurs, innovators, scientists, academics, engineers, professionals. They do not want aid or charity. They want to unleash their full potential,” said Mr. Dlamini, who was named “Young Global Leader” in 2008 by the World Economic Forum, a recognition accorded “higher-performing leaders” who mentor other youth. Ms. Kaobokoe said young entrepreneurs across Africa face similar challenges, including a lack of access to financing and other resources, red tape and inadequate policies to foster inclusive growth. Policy makers forget that youth are the backbone of any socioeconomic and political development, stresses Ms. Kgobokoe. *Africa Renewal is published by the UN’s Department of Public Information (DPI).